Give in to wanderlust and experience the best of the Philippines with these local festivities. "Mammangui" is "corn" in the local Ibanag dialect. This festival celebrates the bountiful harvest in the nation's fourth largest city and corn capital, Ilagan. Enjoy the street dance showdowns and indulge in corn-based dishes and delicacies offered to tourists. This festival, part of the month-long "Pista'y Dayat" or sea festival, is observed every year as a form of thanksgiving for the strong fishing industry in the province of Pangasinan. While you're there, make sure to check out the beautiful sandy beaches along the Lingayen Gulf, along with the festival's highlights, which include a float parade, fireworks displays, musical performances, a bikini open, fun runs, and the much-awaited Longest Bangus Grill (Two kilometers long, in fact! ), certified by the Guiness Book of World Records. 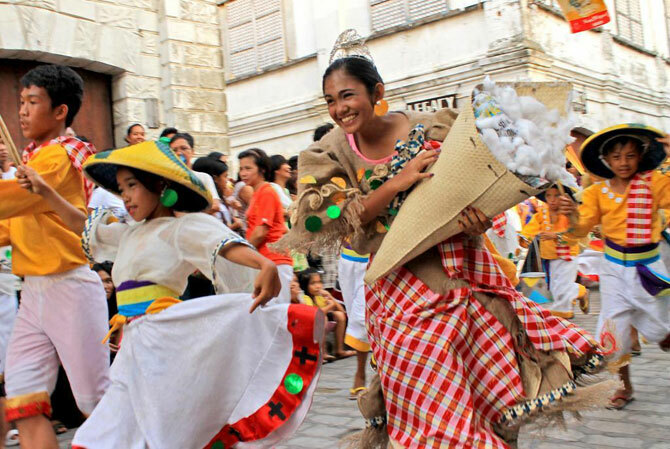 If you've seen or heard of the scenic Calle Crisologo in Vigan, a street that still reflects our Spanish heritage, then you'll want to be in the city when it celebrates this week-long festival, a collective celebration for several other festivals. The Binatbatan Festival, for instance, holds a street dancing competition, depicting how the local batbat or cotton fluff is taken out of its seed. The Karbo Festival, on the other hand, pays tribute to the hardworking water buffaloes or carabaos, by painting them in bright colors. There are also parades for horse-drawn carriages and Santa Cruzan beauties, as well as beauty pageants and food fairs. 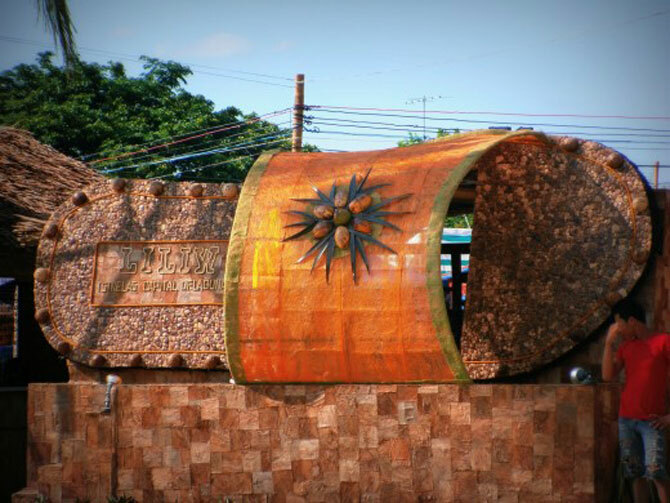 San Jose City boasts of being a leading producer of onion, garlic, rice, and vegetables with the Tanduyong Festival. 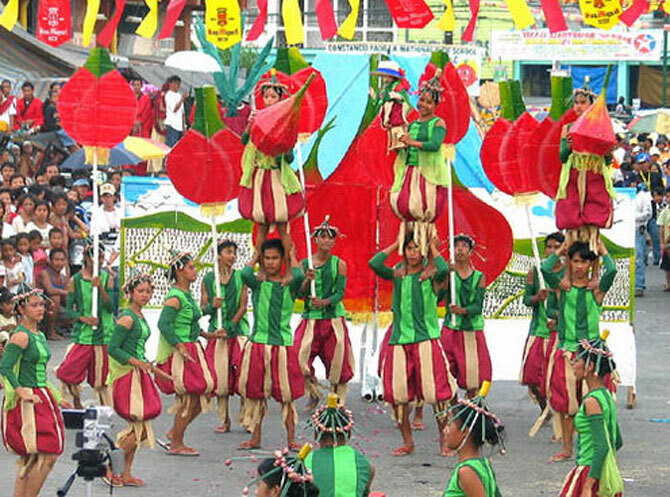 People wear colorful "tanduyong," or onion-inspired costumes and dance on the streets. Beauty contests and cultural shows are also staged for locals and tourists. To cap off this list, what could be better than a festival that actually involves some retail therapy? You heard us right! Visit Liliw, the footwear capital of Laguna, and enjoy shopping at over 80 shoe stores located in Gat Tayaw street. Watch the bird mascot parade (The bird is where "Liliw got its name! ), enjoy all-night dancing, street dancing competitions, art contests, as well as the night of the traditional serenade or harana. Feast your eyes too on the floats festooned with humongous 7-foot slippers!